The world’s first wearable wasn’t exactly what you’d call practical. It was invented in the early 1960s by two mathematicians, Edward Thorp and Claude Shannon. They created a computerized timing device that helped them cheat in roulette. The device was so tiny that during the game, half of it was hidden in a shoe and the other half in a pack of cigarettes. 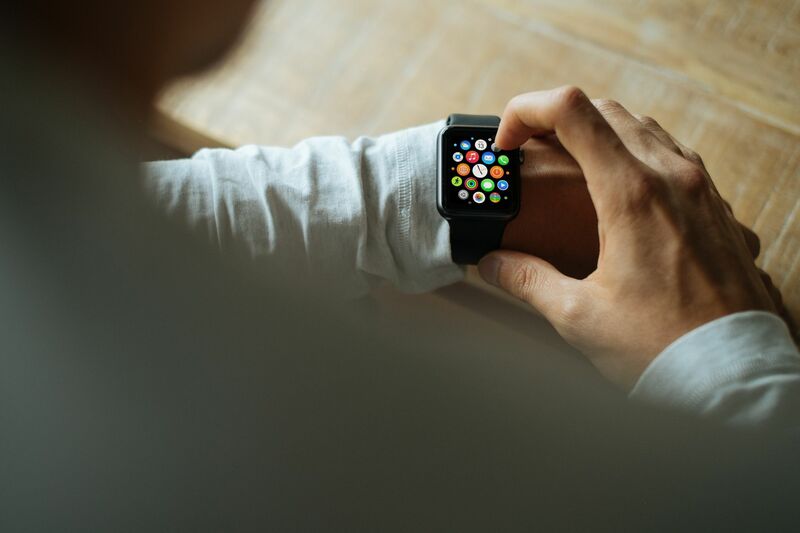 Since then, wearables have come a long way – they’ve transitioned from “gadgets” to must-have devices that manage our health, productivity, and safety. Here are just some of the ways wearable tech is becoming a boon to our day-to-day lives. Wearables make you more productive. We live in a world where every second counts and multitasking is the norm. This causes stress, and stress decreases our capacity for productivity. Wearable devices increase our overall productivity by 8.5 per cent and enhance our job satisfaction by 3.5 per cent, according to recent research. Now, imagine if you could assign your routine tasks to a wearable device. A wearable personal assistant, can perform less important tasks for you, while you give your full attention to what matters. So, you can focus on and finish (!) that report that was due last week. They go beyond tracking to help you achieve goals. Sure, wearables can track your data – how many hours you sleep, what you eat, and how many steps you take. The real magic is what the devices can do with this data. The latest wearables can tell you how to lose weight, quit smoking, or even help you train and reach your fitness goals. One of the most promising new wearable technologies for fitness is smart socks. They can help improve your running pace and technique, and even recommend the type of shoes you should wear. Special textile pressure sensors allow the device to collect real-time data which provides feedback to the user. Wearables can make you, and your community, safer. The Taser Company has introduced Axon Flex Glasses that record everything a law enforcement officer does. The glasses have a built-in wide angle camera, allowing an officer to see and record everything within a 130-degree angle. Wearables are also a sensible option to protect your personal wellbeing. Devices like Safelet – a ‘smart bracelet’ that allows you to alert friends, family and the police that you need help, and broadcast your location – are becoming increasingly popular, for good reason. The future of healthcare is being shaped by a wearable revolution. According to Soreon research, we’re on the cusp of a wearable revolution in the healthcare sector, with an expected increase of investments into the healthcare sector from $2 billion in 2014 to $41 billion in 2020. Wearable technologies can significantly drop hospital costs by as much as 16 per cent over the course of five years, claims CDW research. Furthermore, roughly 88 percent of physicians suggest their patients monitor their health through wearable devices. The aim of these technologies is to collect the most accurate data to help physicians better understand core problems, as well as to predict any future issues with their health. Today, developers are actively implementing new wearable technologies for use in patients with Alzheimer’s, diabetes, macular degeneration and neuropathic pain. Seniors and disabled people can live better lives thanks to wearable tech. Wearables enable seniors and disabled people to increase their independence and quality of life, with less reliance on outside help. For example, smart glasses can help people with cerebral palsy to browse the Internet or take pictures. Tempo is a wearable sensor that detects small changes in the daily routines of the seniors in your life, and alerts you to potential problems. Wearables are opening up whole new worlds for people with disabilities, as well. These incredible haptic shoes help the visually impaired better navigate their world. And eSight Eyewear offers a headset that allows users who are legally blind to actually see.